I had been quite diligent about self care since my teenage year. I am quite certain I have mentioned this before here, but I will repeat myself - Back in college I spent at least 40 minutes post shower, applying body lotion, foot creme, hand creme, nail cream, moisturizer and sun screen. While my make up regimen was non-existent back then but everything else was on point. However, as I have grown older, I have gotten lazier. Its only when I start to see some cracks (metaphorically) that I get back to my sense and start taking care. Since about a year or so, my nails have been quite brittle and cracking easily, in spite of a good regimen and monthly manicures. That's when I decided to add more steps to my nail care. STEP 1 - Try and keep your nails (and hands) clean. Take a small brush (or toothbrush) apply some soap to it and scrub your nails daily. This will not only clean but also exfoliate any dead skin. STEP 2 - Trim them regularly. While till my late 20s I did keep my length medium-to-long, however in the last five years I have mostly kept them short and square. They, look neater, are easier to manage and do not break. STEP 3 - Use base coat before applying nail paint. I started using Sally Hansen Complete Care 7-in-1 Nail Treatment and it helped restore my dry and brittle nails into a much visibly healthier looking and beautiful nails within three days. STEP 4 - Use top coat after applying nail paint. Do not skip on this step, as it helps seal in your color. And another reason why Sally Hansen Complete Care 7-in-1 Nail Treatment is so great, is because it is all-in-one Base Coat, Top Coat, Growth Treatment, Strengthener, Ridge-Filler, Brightener, and Ultra-Moisturizing Nail Treatment. STEP 5 - Give your nails a break! Every now and then I give my nails time to rest and repair with a clear gloss. Experts warn that without giving your nails a break can dry them out, turn them yellow, and over time, even weaken the structure of the nail. STEP 6 - Moisturize! It is not enough to moisturize your hands. You must keep your cuticles hydrated as well. 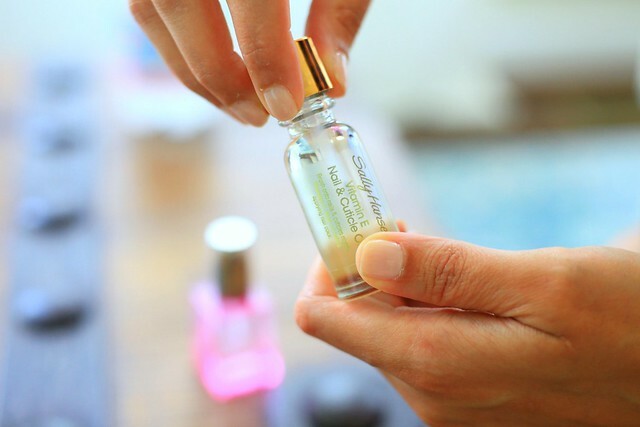 Sally Hansen Vitamin E Nail & Cuticle Oil has been a a great tool in softening my cuticles and restoring my brittle nails. Massage in to help increase circulation to the nail bed and stimulate new nail growth. STEP 7 - Diet! Last but not the least, every starts with your food. 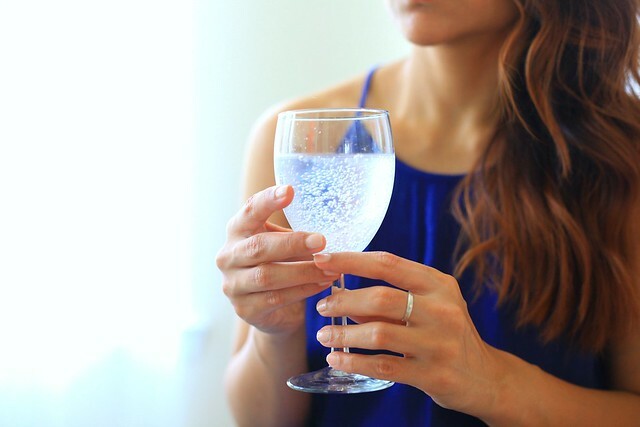 Just like rest of the body, healthy nails too require a healthy diet. Increase the intake of protein rich foods like beans, lentils and nuts. Also consider adding vitamins and supplements like biotin, Vitamin E, and fish oil to your daily regimen. PLEASE NOTE: I do not use acrylic nails or apply gel treatments because no matter what anyone tells you, they are hard on your nails. 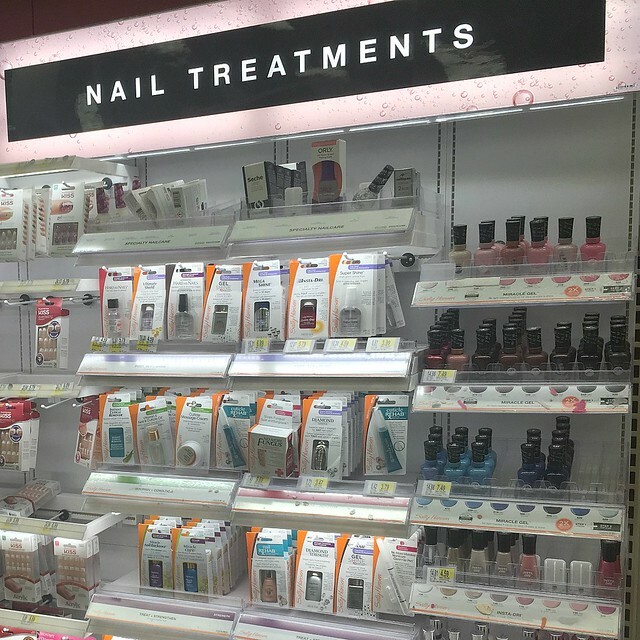 If you too are looking to restore your nails back to health and strength check out these two Sally Hansen products at your closest Target. Great post. I used to have long nails back in school, but as I got older I really hated that. So now I wear them short. When I go on long holidays, though, I do get gels because regular polish chips on my nails in an instant. Gorgeous Nails! I need to pick up some of these and work on my nails! They are terrible RN. I do my own manicure at times. 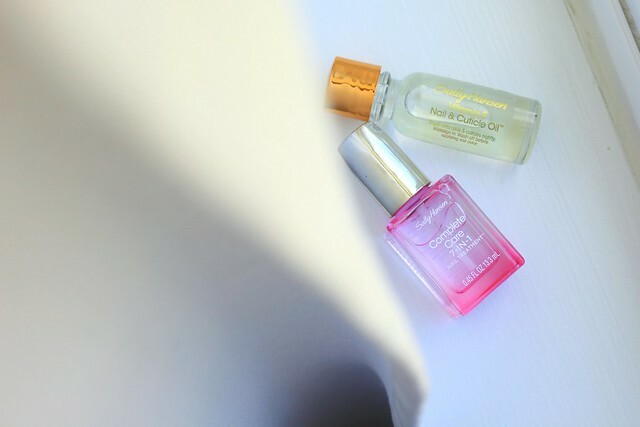 I have used the Sally Hansen Nail & Cuticle Oil and LOVE it! Great tip to use a toothbrush to exfoliate your dead skin on your nails. I normally cut it with the cuticle nail clipper. But I'm going to try this step first next time. I need this!! My nails take a beating from constantly washing my hands at work (Dental Hygienist) and I could use some nail strengthening :). I have a bit of a regimen in place already but I am going to add in some of the things that you suggested here. i love nail care regime, this post was really helpful . I've read many posts of yours. Loved them, great work!